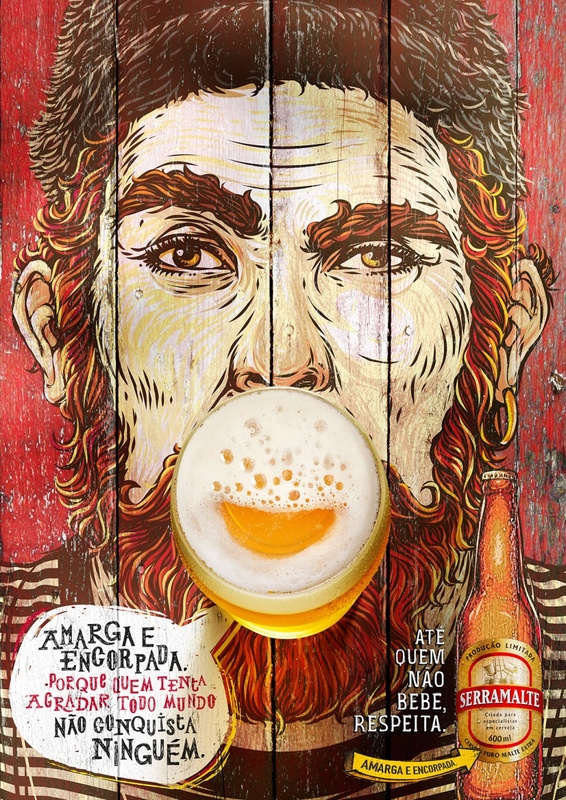 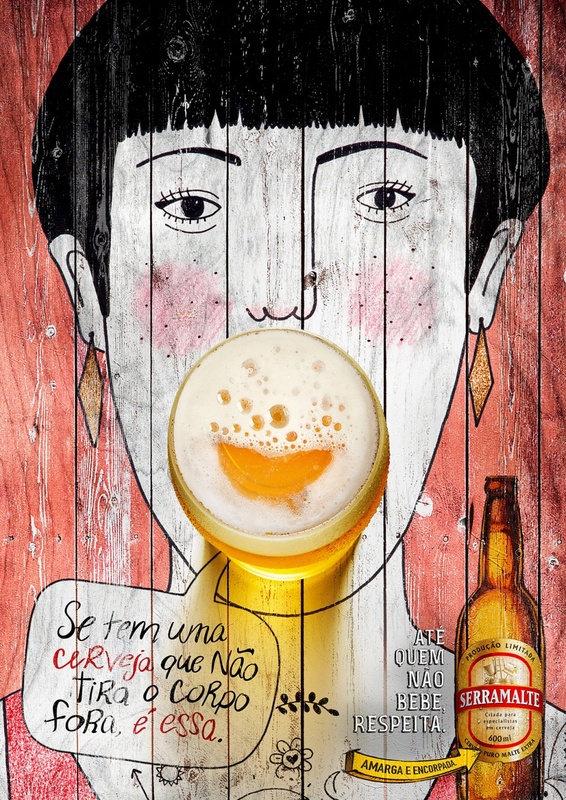 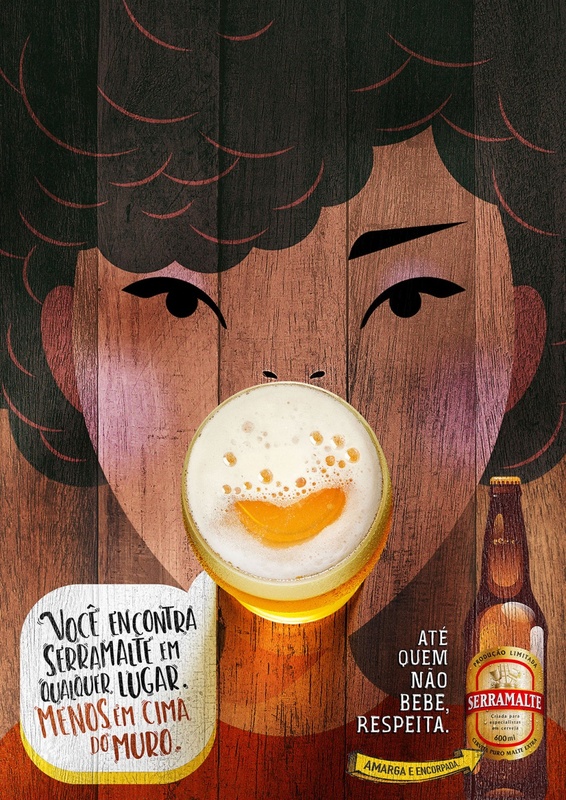 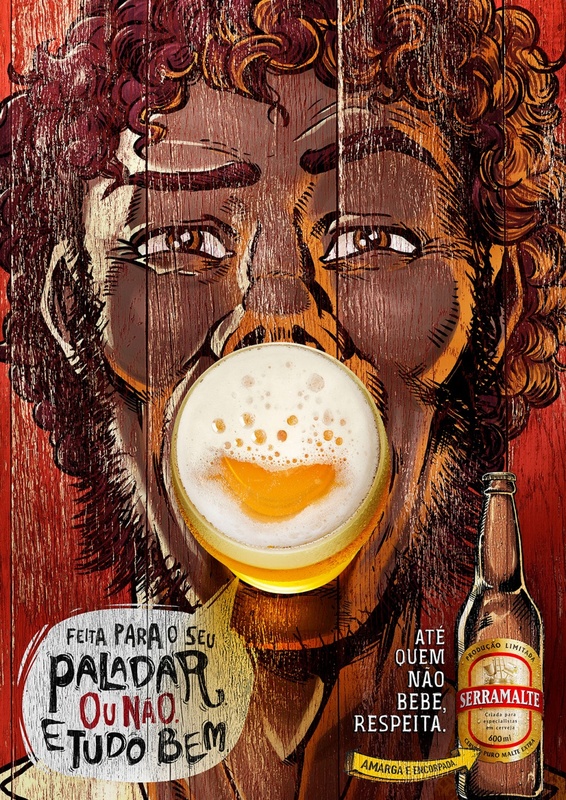 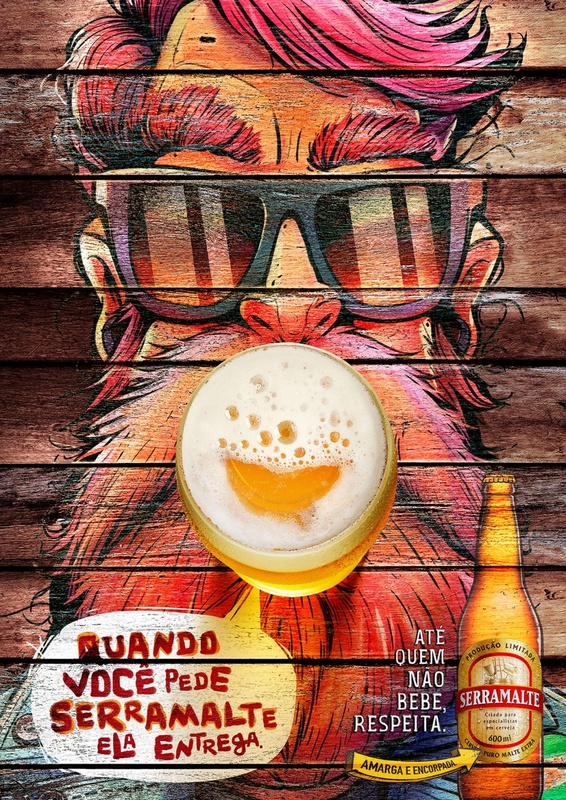 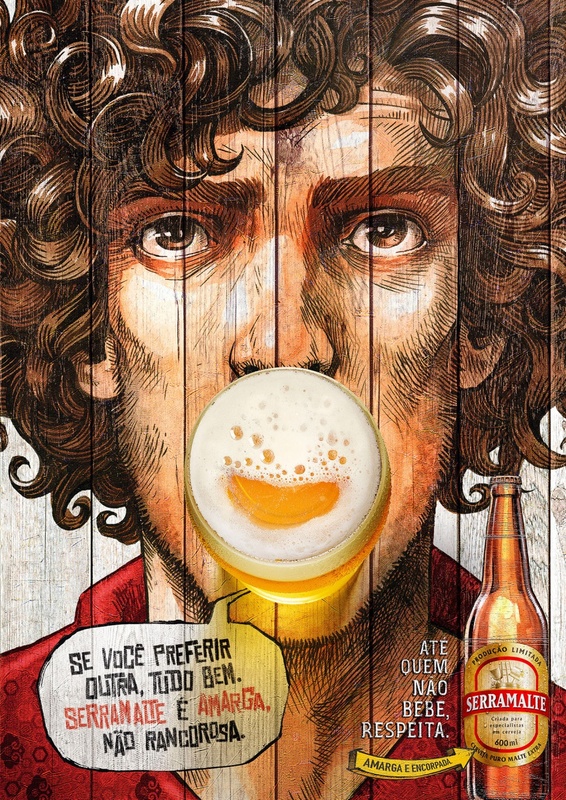 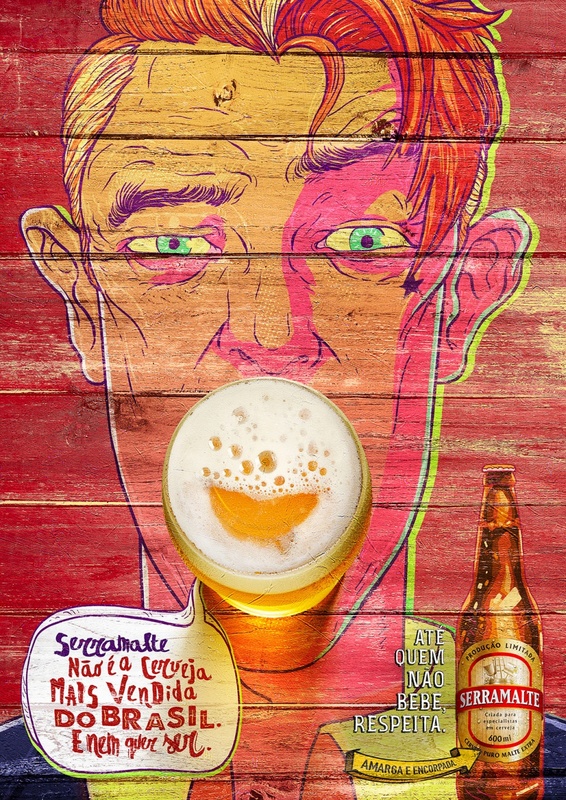 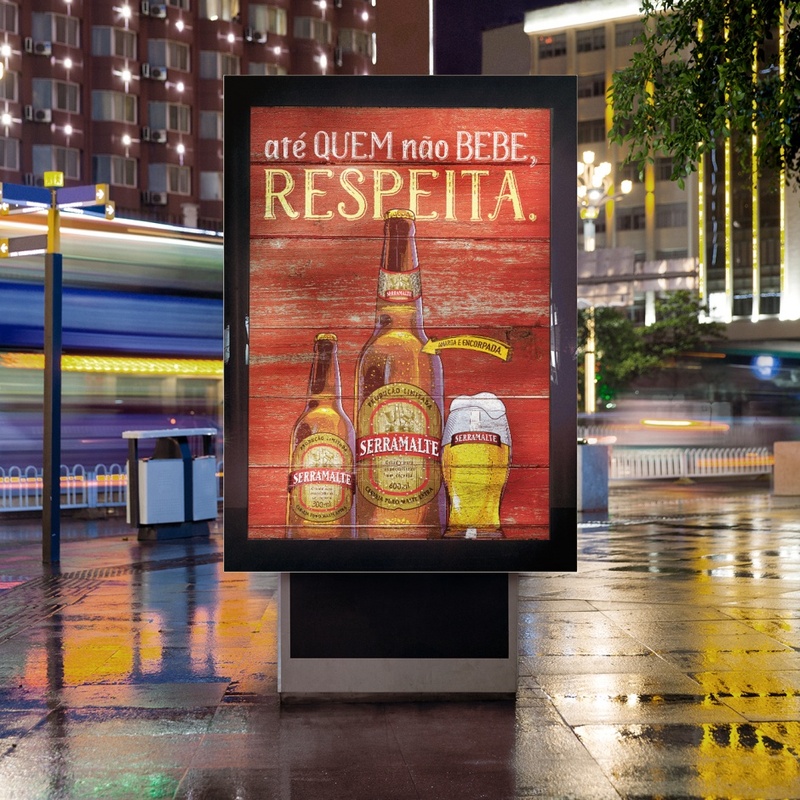 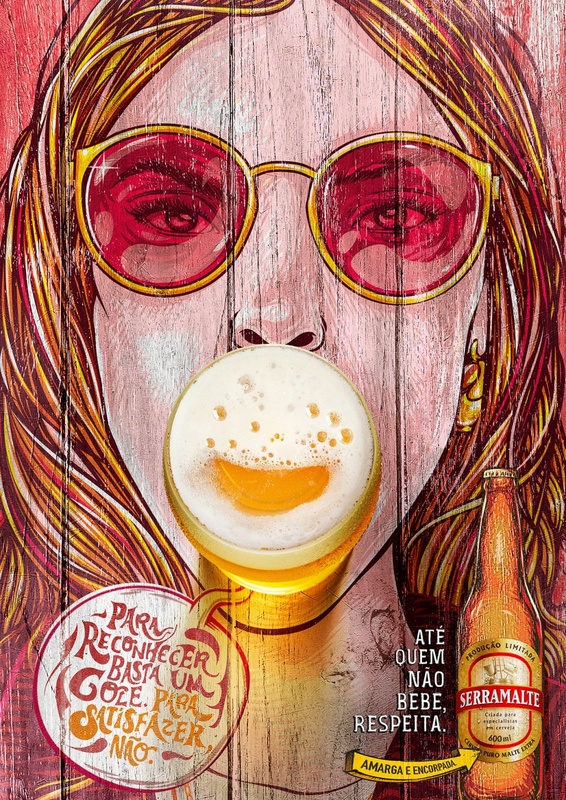 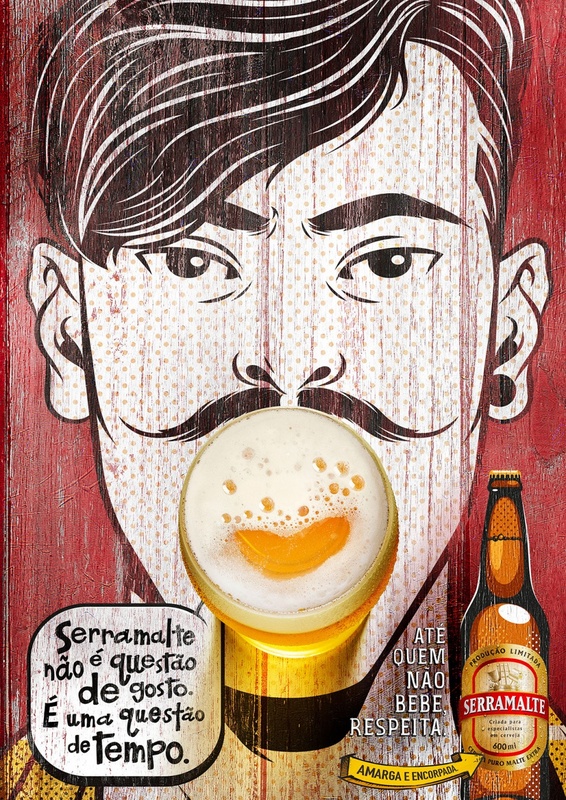 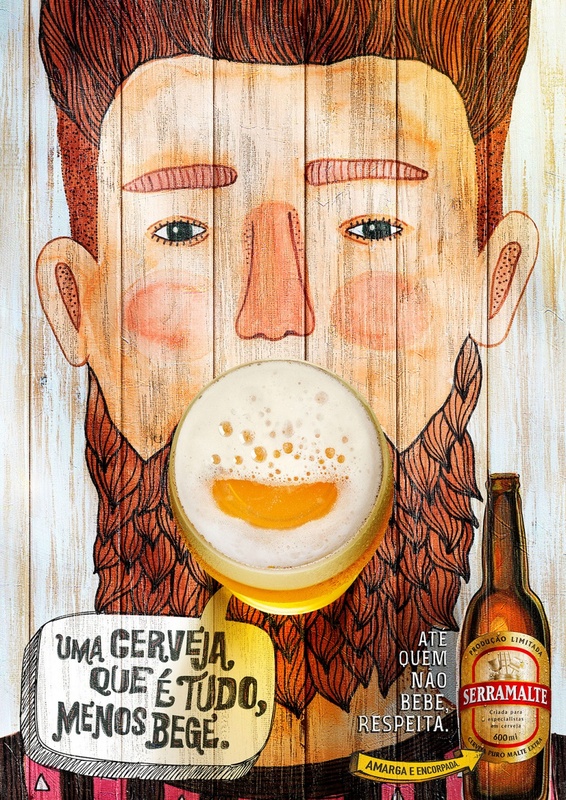 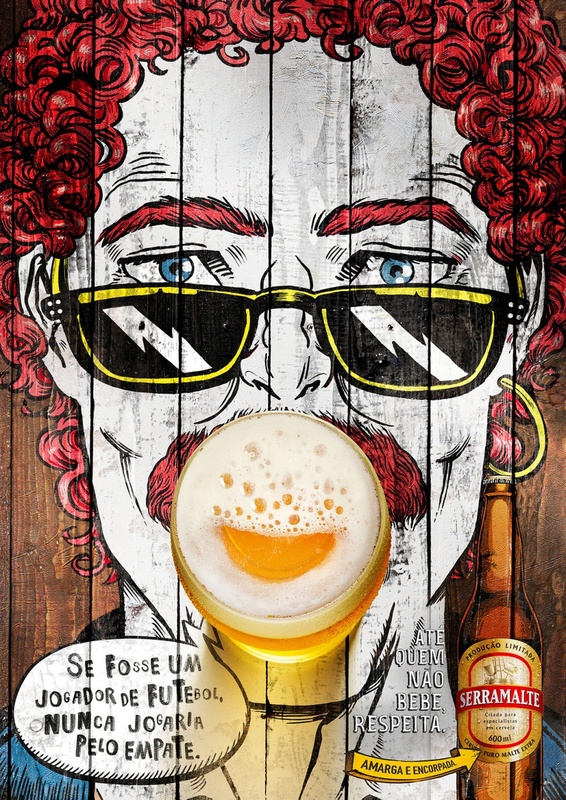 Series of illustrations created for "Even Those Who Don't Drink, Respect" campaign of Serramalta, a brazilian brewery. 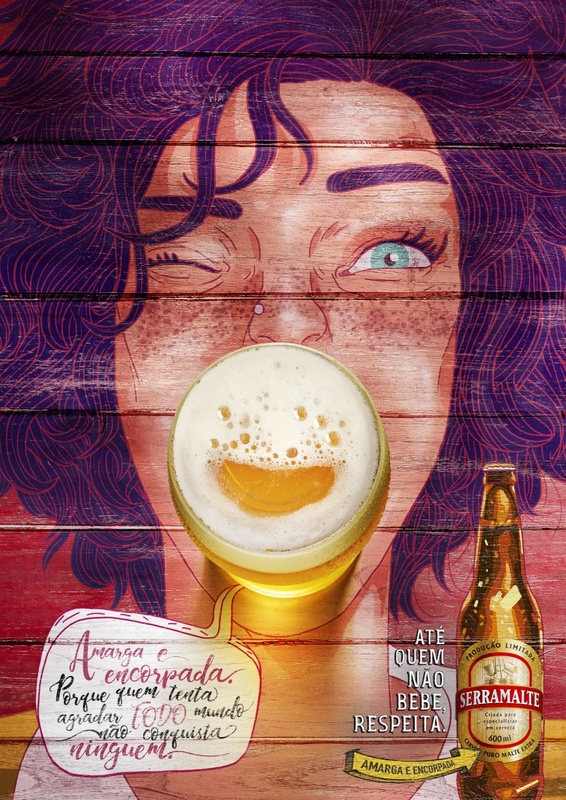 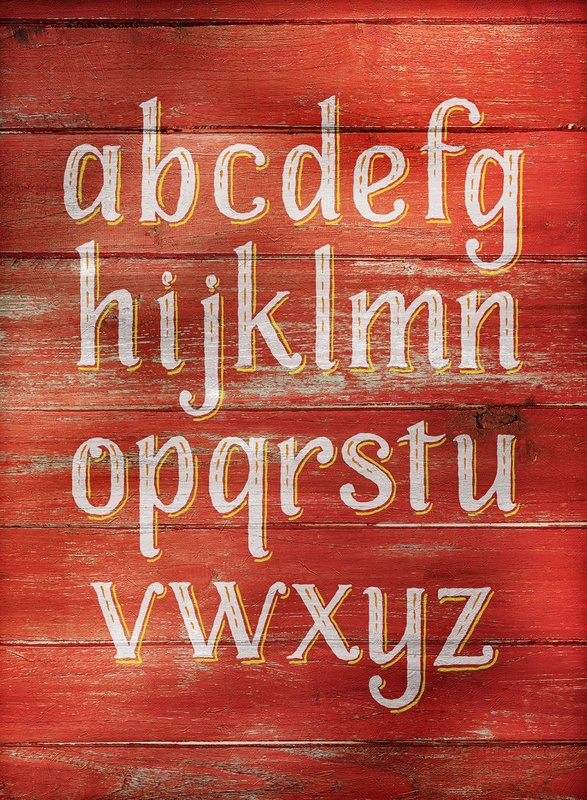 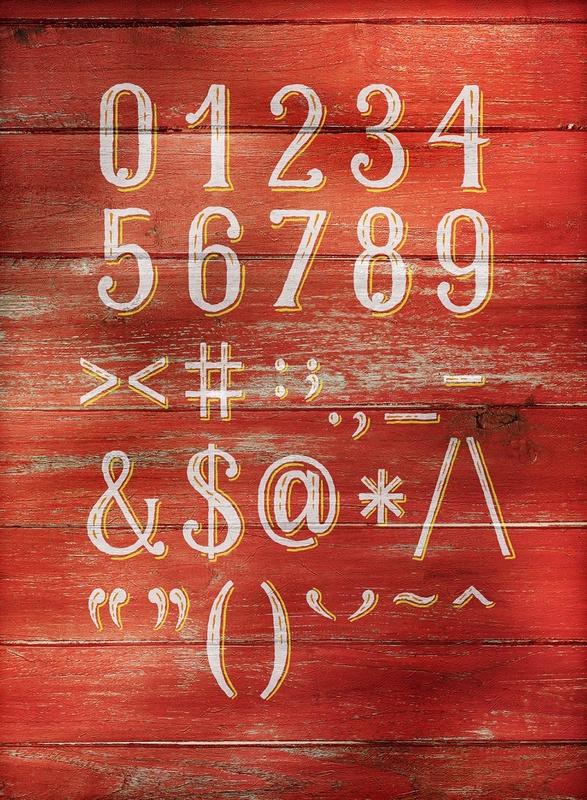 The artists created 14 portraits, vector beerr bottler illustrations and a custom font. 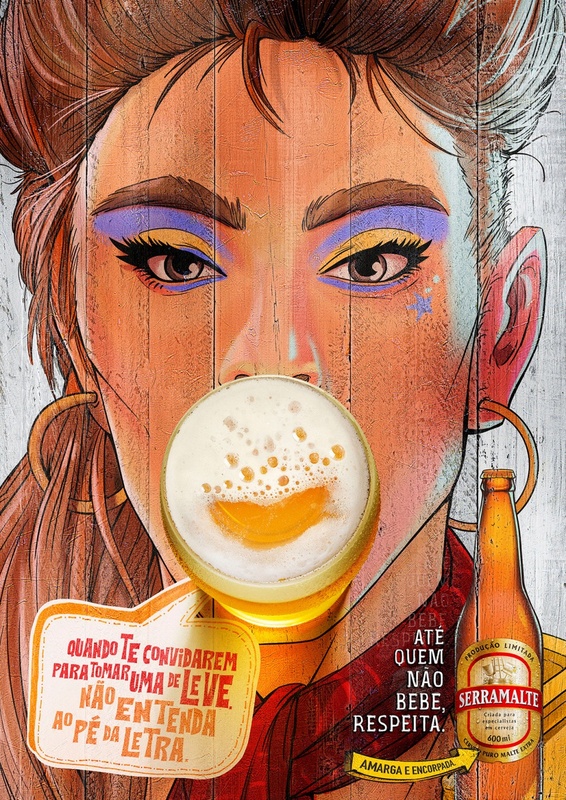 The artworks were featured in a variety of pieces, including printed, digital and out of home media. 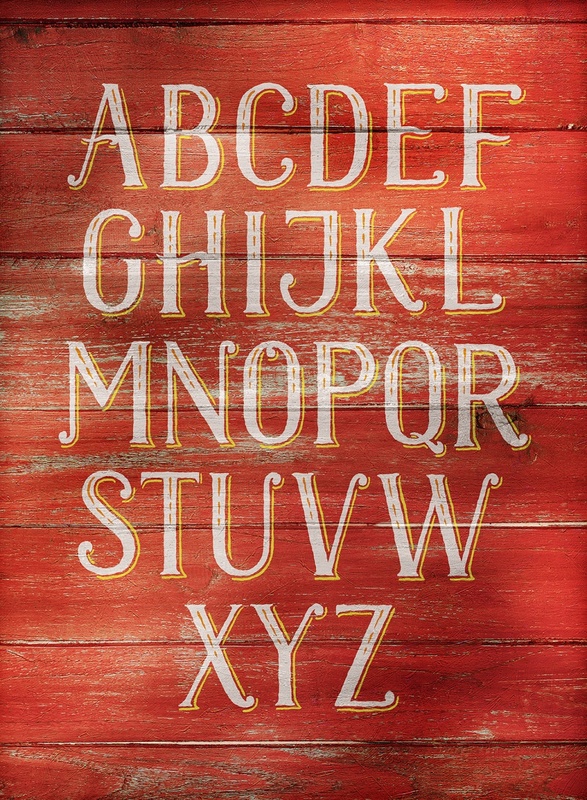 Eight of the 14 portraits were published on the Lürzer's Archive Vol. 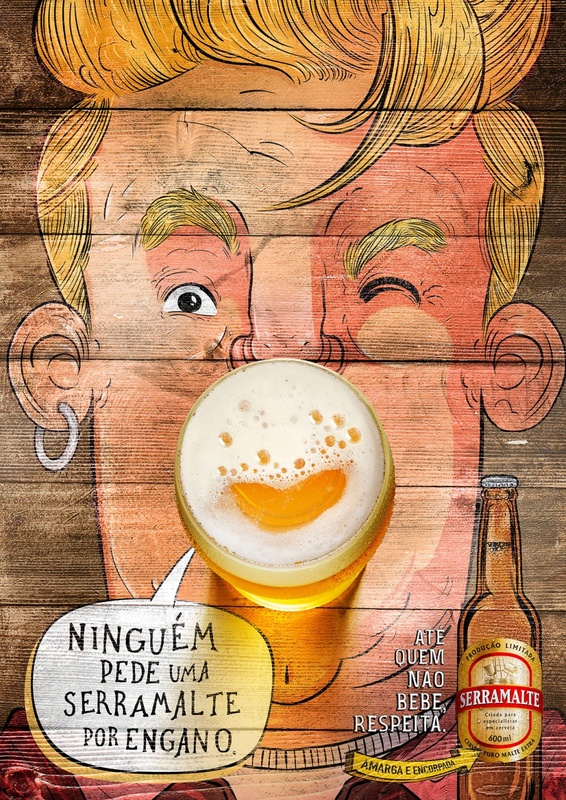 4-18.